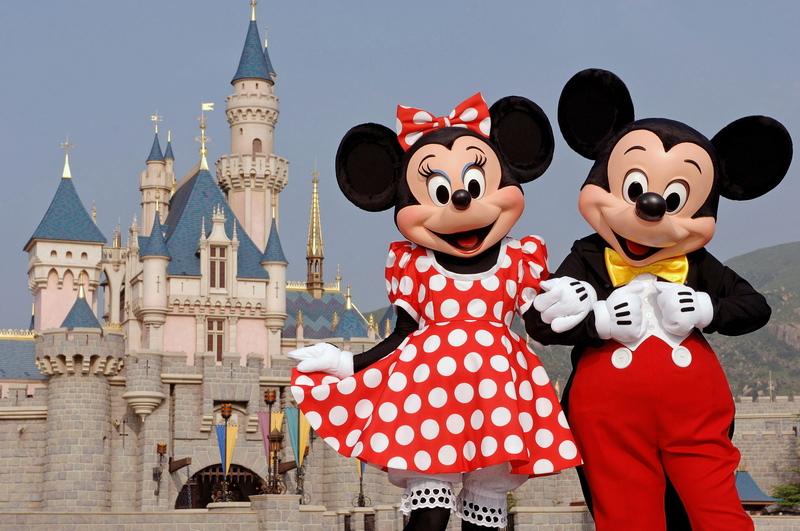 Disney characters Mickey Mouse and Minnie Mouse pose in front of the Sleeping Beauty Castle. Earlier Comcast said it submitted an all-cash bid of $31 billion for European pay-TV group Sky, confirming a tentative offer in February. Comcast’s offer tops Twenty-First Century Fox’s bid to buy the rest of Sky it doesn’t own by about 16 percent. Fox holds a 39 percent stake in Sky. Walt Disney agreed to buy Fox’s entertainment and international assets, including its stake in Sky, for $52.4 billion, or $66.1 billion including debt. Comcast shares were up almost 3 percent to $34.19 in midday trading on April 25. Year-to-date, the shares have declined about 17 percent.